Apple Watch battery has enough power for normal usage to last a day. Depending on use, it was estimated by Apple that people get, on average, 18 hours of battery life in one 100% charge. It’s a pretty decent lasting time for a watch. 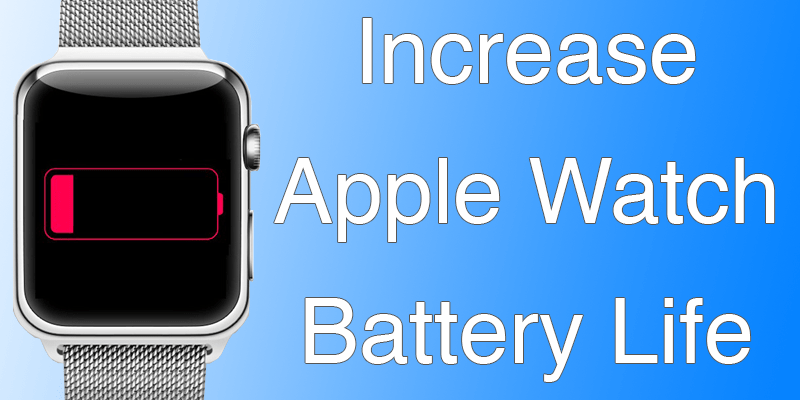 If you want to increase battery life on Apple Watch, here are some tips to help you out. The first thing you can do to increase battery life on Appel Watch is to disable animations. Apple Watch animations feature automatic resizing of Home screen app icons. Animations are also there as you launch apps on Apple Watch or press on digital crown. Switch off the setting “Reduce Motion” to disable animations, which will also make icons the same size. Fitness tracking can consume lots of battery due to heart rate sensor. Switch on the Power Reserve Mode during workouts. This should reduce the impact fitness tracking has on battery. However, the switched off heart rate sensor may affect calorie burning estimate, but other workout info will be displayed. Go to Watch app and open “My Watch” and tap “Workout”. Then tap “Power Saving Mode” slider, and the button will go green. The Apple Watch screen switches on by default when the user raises his/her wrist and switches off when the wrist is lowered. That’s why the watch’s screen may turn on as you move wrists. Disable this feature to increase battery life on Appel watch. 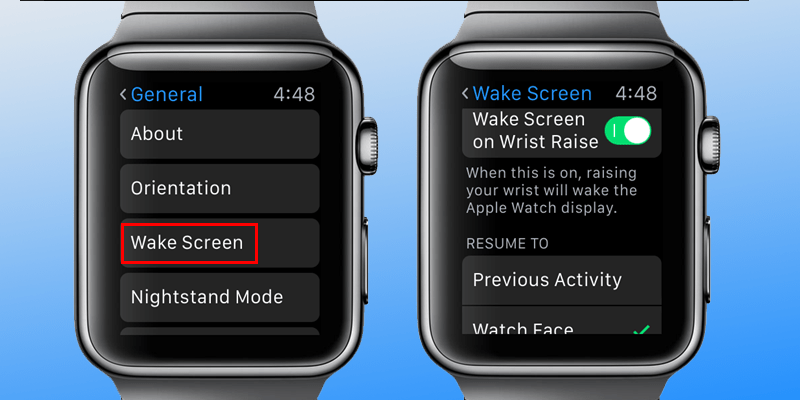 The “Wake Screen on Wrist Raise” feature is located in the settings screen where the option for making Apple Watch screen stay on longer is also located. The Apple Watch alerts users about notifications in a subtle way via haptic feedback (tapping). However, in case of more notifications, haptic engine uses up precious battery life. Haptic feedback’s intensity can thankfully be adjusted, and lowered to increase battery life on Apple Watch. The Apple Watch’s OLED display uses minimum power. 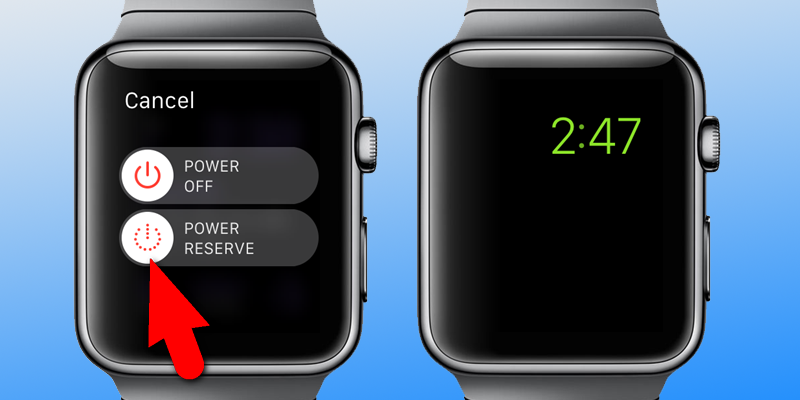 However, reducing screen brightness is a smart way to save battery life of Apple watch. 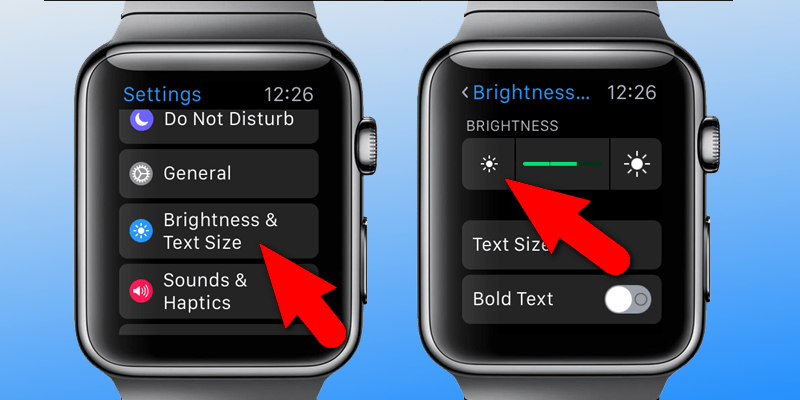 To reduce brightness on the watch directly, press the digital crown and tap “Settings” then “Brightness & Text Size”. To reduce brightness, tap “sun” button beneath brightness. The green bar will be removed from the level indictor between buttons every time you tap the smaller sun button. Follow these 5 tips to increase battery life on Apple Watch, and feel free to leave comments.